The atomic bombing of Japan at the end of World War II by the United States is one of the most debated and controversial topics in all of history. 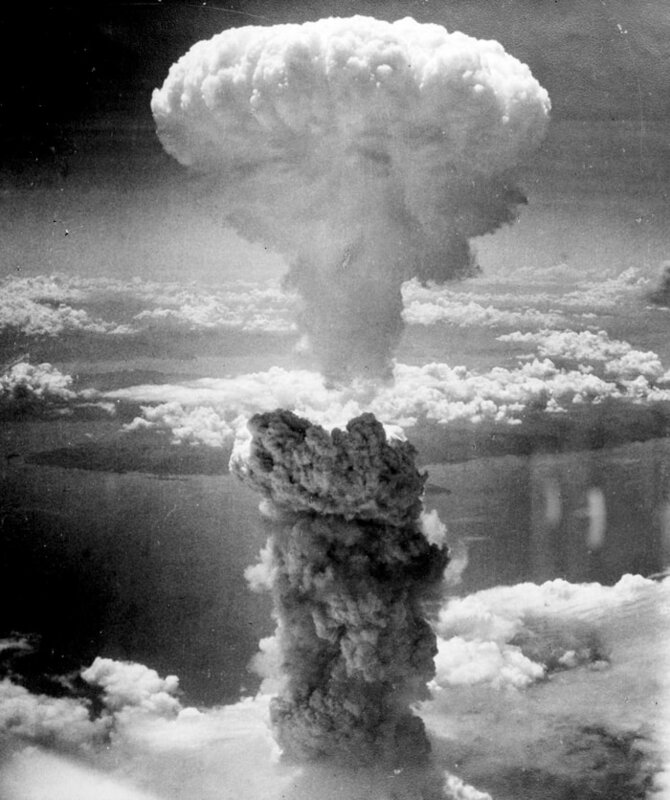 Since the bombing in 1945, historians have debated whether or not the United States was justified in using the two atomic bombs to end the war. Some have argued in favor of the use of the bombs for a range of reasons, including: it ended the war, it saved the lives of millions, and it was necessary for the emerging Cold War with the Soviet Union. Others have argued against the use of the bombs, with evidence such as: it was not needed, it was inhumane and it led to the modern atomic age and threat of nuclear war. Still others argue that perhaps the first bomb used against Hiroshima was justified but that the second used against Nagasaki was not. Read below to learn more specific information about the main reasons against the use of the atomic bombs by the United States. Alternatively, click to read about the main reasons in favor of the use of the bombs and why some historians believe the United States was justified. It caused too much destruction. It killed too many innocent people, including children. It was unnecessary as Japan was essentially defeated. It was not universally supported in the United States. The United States could have done something else. The United States should have waited longer between the two bombs. It was used more to scare the Soviet Union than to defeat Japan. It led to the modern atomic age and the threat of nuclear warfare. First, some historians argue that the atomic bombing of Japan was not justified because they consider the use of the bombs to be inhumane. In general, bombs of any sort are devastating and can cause widespread damage and death. For example, in World War II, the German city of Dresden was famously fire-bombed to near total destruction by the Allied nations. However, some historians have argued that the toxic radiation present in atomic bombs made them fundamentally immoral. 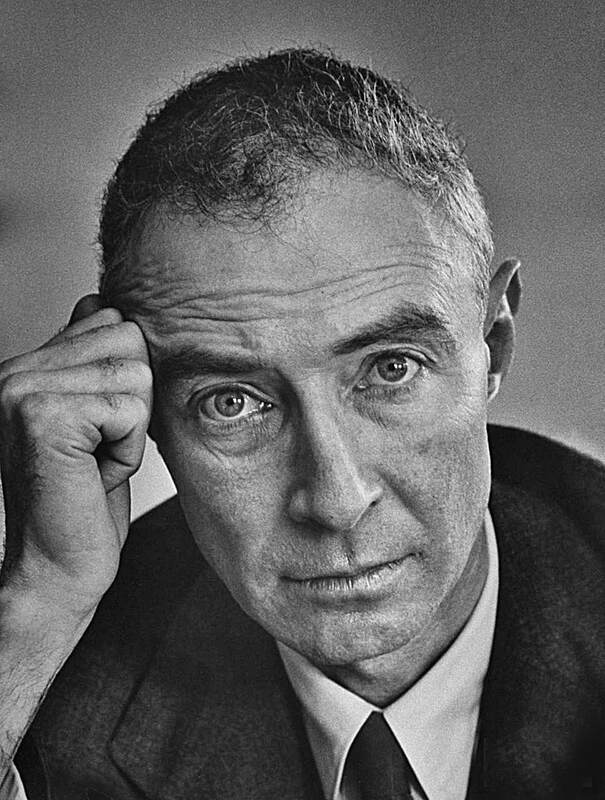 For example, Robert Oppenheimer, who was an American physicist and is sometimes referred to as the “father of the atomic bomb” for his role in the Manhattan Project, comment on the dangers of the atomic bombs in a top secret memo from May of 1945. In the memo he stated “The active material of the bomb itself is toxic. There is about 10,000,000,000 times as much toxic material initially in the bomb itself as is needed for a single lethal dose.” This level of radiation caused the immediate death of any person close enough to the initial blast, but more importantly it caused severe and painful burns on others that were just outside of the blast radius. Some people have argued that the burns and toxic radiation caused by the atomic blasts were beyond what is acceptable in a war. Therefore, it has been argued that the bombs were inhumane and should not have been used. Further to the idea that the bombs were inhumane because of the injuries they caused, others have suggested that the United States was unjustified in using the two atomic bombs to end World War II because they caused excessive destruction of both Hiroshima and Nagasaki. On August 6th, 1945, the American B-29 plane, Enola Gay, dropped the atomic bomb Little Boy on the Japanese city of Hiroshima. The bombing instantly killed 70,000 to 80,000 Japanese in the city and tens of thousands more due to radiation exposure. Three days later on August 9th, the United States dropped another atomic bomb, named the Fat Man, on the city of Nagasaki. The bombing of Nagasaki would kill another 40,000 people. The atomic bombs on Japan were the single deadliest weapons in all of human history and remains so still today. Beyond killing many people the atomic bombs also caused massive destruction in both cities. For instance, the atomic bombing of Hiroshima on August 6th, 1945 ended in the destruction of 90% of the city. The initial blast and the resulting fires ravaged the city. It was made worse by the fact that many of the buildings in the city were constructed out of wood and paper. 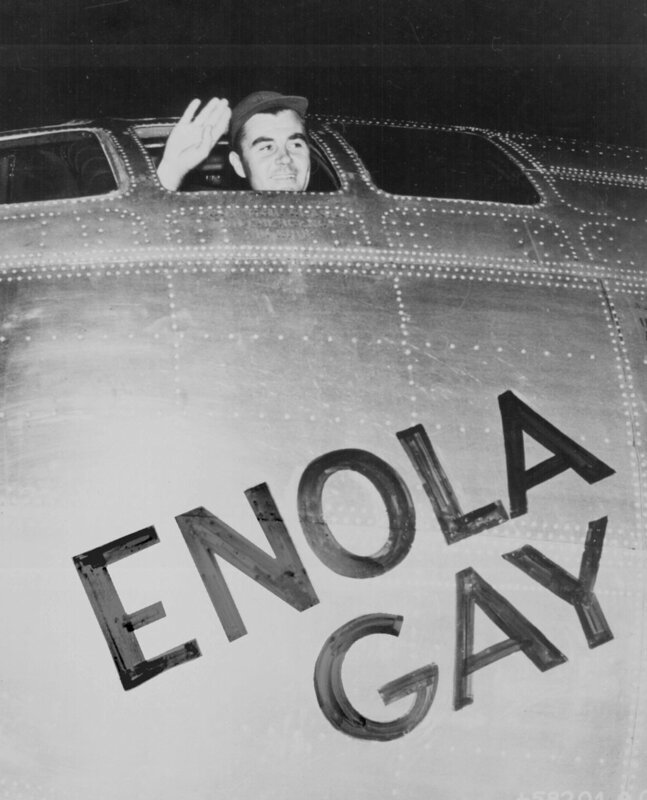 Crew members of the Enola Gay commented after about seeing much of the city on fire as they flew away from the city. Some historians have argued that this widespread destruction of the cities was immoral and therefore the United States was not justified in its use of the atomic bombs. In addition to the destruction of the city, some historians have argued that the two atomic bombs should not have been used because they caused the deaths of largely innocent civilians who lived in the two cities. Hiroshima and Nagasaki were not military targets and as such, many innocent children and women were killed from the powerful blast of the bombs. Some people have suggested that the United States should not have used the atomic bombs for this reason and should have instead carried out smaller bombing raids which could more easily target specific military targets. Hiroshima in ruins after the atomic bombing. 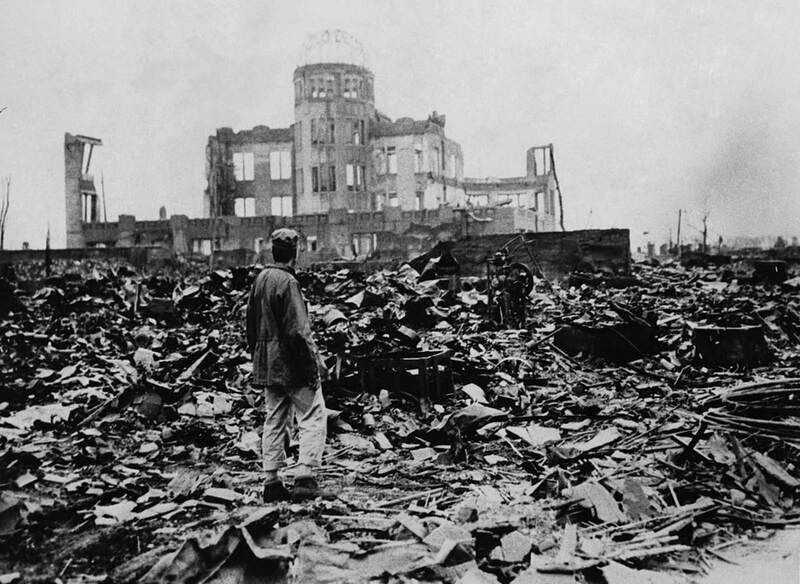 A man investigates the destruction in Hiroshima. The next main reason for why the atomic bombing of Japan by the United States was unnecessary and unjustified is that some historians now suggest that Japan was nearly defeated and seeking a way to surrender. This argument holds that since Japan was on the verge of defeat, they could have been forced to give up formally through different means. For example, when the war in the Pacific Theater began in 1941, with Japan’s surprise attack of Pearl Harbor, Japan was at its height of power and controlled large sections of the south Pacific Ocean. However, by the summer of 1945 the United States had successfully pushed back the Japanese with its strategy known as ‘island-hopping’. This strategy saw the United States forces leapfrog Japanese held island in the South Pacific in order to more quickly advance to Japan’s main home islands. As such, by August of 1945, Japan was essentially limited to its main home islands and no longer had the ability to fight back in a meaningful way. Therefore, some historians have argued that the United States did not have to use the two atomic bombs to force Japan to formally surrender. In fact, some people have suggested that Japan was seeking a way to surrender while making sure Emperor Hirohito would not be removed or harmed. This idea was strengthened by the fact that not all members of the American military or leadership supported the atomic bombing of Japan. For example, Dwight Eisenhower, who was the Supreme Commander of the Allied Expeditionary Forces in Europe during World War II and later became the 32nd President of the United States, famously disagreed with the use of the bombs. The following statement highlights his feelings on the atomic bombing of Japan. “In 1945, Secretary of War Stimson visited my headquarters in Germany, [and] informed me that our government was preparing to drop an atomic bomb on Japan. I was one of those who felt that there were a number of cogent reasons to question the wisdom of such an act.... During his recitation of the relevant facts, I had been conscious of a feeling of depression and so I voiced to him my grave misgivings, first on the basis of my belief that Japan was already defeated and that dropping the bomb was completely unnecessary, and second because I thought that our country should avoid shocking world opinion by the use of a weapon whose employment was, I thought, no longer mandatory as a measure to save American lives. It was my belief that Japan was, at that very moment, seeking some way to surrender with a minimum loss of 'face.' The Secretary was deeply perturbed by my attitude, almost angrily refuting the reasons I gave for my quick conclusions.” This statement shows that not all of the military leadership in the United States supported the use of the two atomic bombs in World War II. As such, some historians have used this to show that the United States was unjustified for using the bombs against Japan because it did not have complete support at the time. Based on the previous two points (Japan was already nearly defeated and the use of the bombs was not totally supported) historians who disagree with the use of the atomic bombs have argued that the United States could have forced Japan to surrender by using several different strategies. First, some have suggested that the United States could have carried out a naval blockade of the island nation and forced the Japanese leadership into surrendering. The blockade would have prevented any resources from entering the country and would have forced Japan into a situation where they did not have enough resources to survive. Therefore, this would have forced them to surrender before they reached a crisis point. Second, some historians have proposed the idea that the United States could have used the atomic bombs in a different way that didn’t directly harm innocent civilians. For example, it has been argued that the United States could have dropped an atomic bomb in an unpopulated area of Japan or in the harbor of a major city as a way of demonstrating the power of the technology without causing mass deaths. Others have suggested that the United States could have sent the Japanese leaders video footage of the atomic tests carried out during the Manhattan Project, such as the Trinity Test. Some have suggested this may not have been effective, but many contend that the Japanese leaders may have surrendered if shown the destruction of the weapon first. Another argument against the use of the atomic bombs as the end of World War II was that it was immoral for the United States to use two atomic bombs against Japan so quickly together. For example, while some people agree that an atomic bomb may have been necessary to end the war, many argue that two atomic bombs went too far especially considering the time period. The first atomic bomb was used against Japan on August 6th, 1945 on the city of Hiroshima. The United States dropped the second atomic bomb just three days later on August 9th on the city of Nagasaki. Some historians have argued that this was not a long enough period between the two bombings for the Japanese leaders to truly consider surrender. 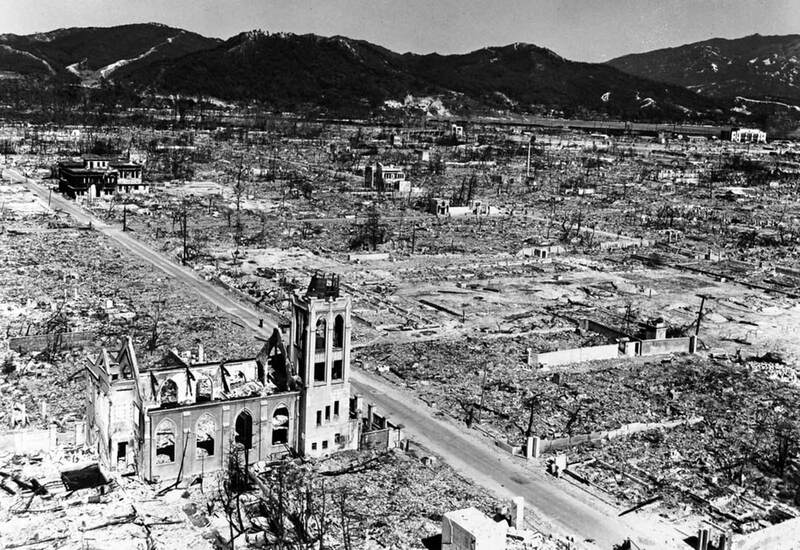 Considering the technology of the time period, the Japanese leaders in Tokyo may not have believed that Hiroshima was truly devastated and may have needed more time to learn of the destruction. Some people have argued that the United states did not wait long enough before using the second bomb and was unjustified. The next argument against the use of the atomic bombs was that the United States only used it as a way of scaring the Soviet Union. During World War II, the Allied nations of Britain, the United States and the Soviet Union faced off against the Axis nations of Nazi Germany, Italy and Japan. As the European Theater of the war came to an end, the main Allied nations famously met in a series of conferences (Yalta and Potsdam) to decide how to best handle the end of the war and the defeat of Germany. It is at these conferences that a divide or conflict began to emerge between the Soviet Union and the United States. For example, the Potsdam Conference is now viewed as a major event in the Cold War, because it highlighted the divide between Stalin and the other two leaders (Winston Churchill of Britain and Harry S. Truman of the United States). Neither side trusted the other and Joseph Stalin was resentful of the other two believing that they delayed the Normandy Invasion and Allied invasion of Italy during World War II to cause the Soviet army to struggle alone against Nazi Germany. It was at the Potsdam Conference that Truman made Stalin aware of the American atomic weapons program (Manhattan Project) and that the Americans had developed the world's first atomic bomb. As well, Truman was incredibly suspicious of Stalin and his intentions and Stalin felt a similar way towards Truman. In general terms, the seeds of the Cold War were planted at the Potsdam Conference. The United States bombed Hiroshima just days after the conference ended and World War II was over in the just a few weeks, while the Cold War was just beginning. Today, many historians view the bombing of Japan at the end of World War II as a way of the United States signalling to the Soviet Union their capabilities. Since a divide was occurring between the two nations, some argue that the United States used the bombing of Japan as a means of warning the Soviet Union against carrying out any sort of conflict. Therefore, some people criticize the use of the atomic bombs by the United States because they killed thousands of Japanese people as a way of scaring the Soviet Union. This strategy, if true, shows that the United States did not need to use the atomic bombs to end the war and was therefore unjustified. The final argument that people use as evidence against the use of the atomic bombs in World War II, is that they led to the nuclear arms race in the years that followed. At the outset of the Cold War, the United States was the only nation in the world to contain atomic weapons, such as those used against Japan in 1945. As such, the Soviet Union was not able to militaristically challenge the United States and worked to develop their own atomic weapons. However, on August 29th, 1949, the Soviet Union performed a test of their first atomic bomb codenamed ‘First Lighting’. Throughout the rest of the Cold War, the United States and Soviet Union each stockpiled thousands of nuclear weapons. As well, each superpower challenged the other for supremacy and developed more powerful weapons. By the 1950’s each country had developed enough nuclear weapons to destroy the other. This development was an important aspect of the Cold War, as the stockpiles of nuclear weapons acted as a means of defense. Essentially, each nation was deterred from going to war with other, or from escalation tensions, due to the fear of a nuclear war. Historians refer to this idea as Mutual Assured Destruction (M.A.D.) since any escalation to war could result in the total destruction of both countries. Therefore, some people argue that with the atomic bombing of Japan, the United States caused the nuclear arms race among different nations around the world. This has arguably made the world a more dangerous place since some very unstable nations contain nuclear weapons. As such, some historians criticize the United States for using the atomic bombs in 1945. In conclusion, historians have identified several main reasons against the use of the atomic bombs, but it remains an extremely controversial topic and one of the most debated in all of history. For instance, many continue to argue that the atomic bombing of Japan was completely necessary and that the United States was justified for using the terrifying weapons against an enemy nation that refused to surrender in the face of defeat.